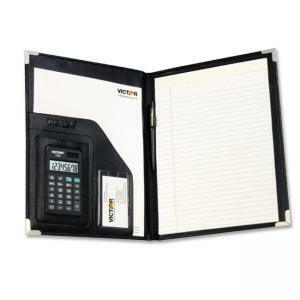 Victor Executive Style Portfolio - 8.50" x 11"
Letter-size pad holder features soft-touch back and front covers with protected, metal corners. 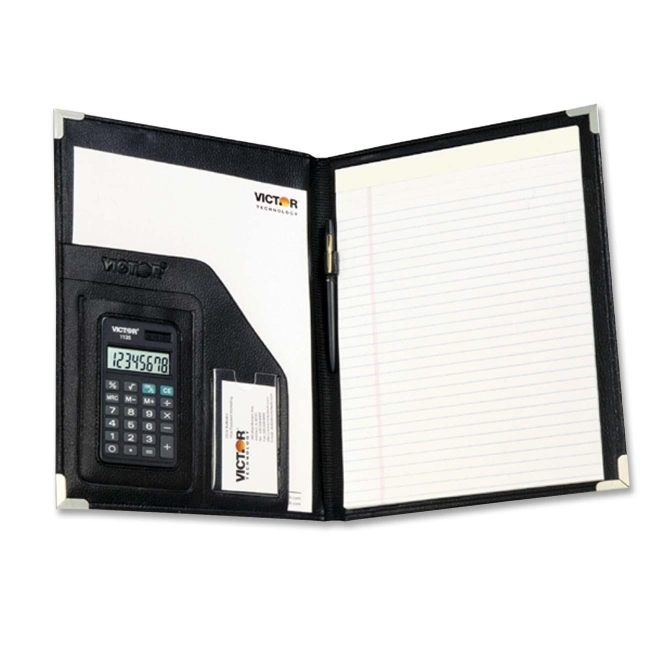 Offers full-width storage pocket, pocket for business/credit cards, extra-large liquid crystal display (LCD) and well-spaced rubber keys. Functions include three-key independent memory, percent, square root and automatic constants. Eight-digit calculator operates on solar power with battery backup. Pad holder comes with pen and pad.